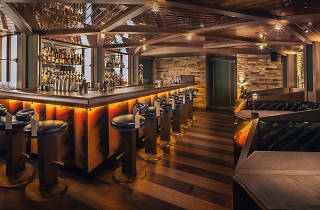 When it first arrived at the Landmark Mandarin Oriental two years ago, PDT and its pop-up showed local cocktail connoisseurs how good things could be. 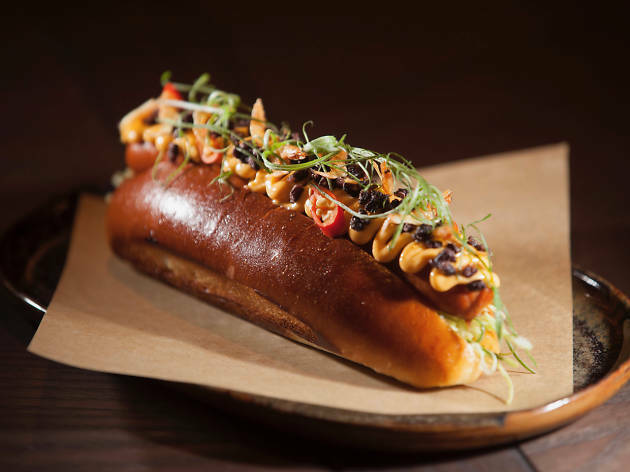 Visiting bar staff from the once ‘best bar in the world’ displayed exceptional technique and our very own Richard Ekkebus, culinary director of Michelin-starred Amber, prepared a menu of fantastic gourmet hotdogs to match the kind of comfort food offered in the original in New York. Here in 2018, the speakeasy occupies the exact same spot above MO Bar as before. Now, though, it’s been given license to make the space its own. Much is modelled on the original: the entrance is a mock phone booth, the walls are decorated with dressed up taxidermied animals, even the wooden panelling on the ceiling looks identical. Whether that says ‘true to its roots’ or ‘lack of originality’ is for individuals to decide. It’s a cosy space either way, though we can’t help but feel Stockton already nailed the man cave drinking den vibe better. The menu is a mix of PDT standards from the Big Apple and originals designed specifically for Hong Kong. We start with a Bad Hunter ($158), made up of Chivas Regal 12 whisky, Fernet Hunter, lemon juice, longan berries and Moët Brut Imperial Champagne. An ironic name, it’s a tremendous creation with fruity, tart and bitter flavours all working in tandem and evenly balanced. 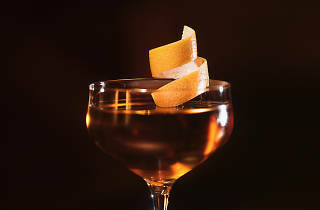 Impressed, we move on to one of PDT’s most famous creations, the Benton Old Fashioned ($158), a spin on the classic which substitutes maple syrup for sugar and uses bacon-infused Wild Turkey bourbon. Unfortunately, something’s off in this supposed mainstay. The bitters come on strong, slaying any sweetness and leaving only the faintest trace of the smoke expected from the bacon. Eschewing Ekkebus’s returning hotdogs, we refuel on an order of Takoyaki Tots ($98), a bowl of tatter tots masquerading as okonomiyaki, slathered in Kewpie mayo, takoyaki sauce, shredded nori, bonito flakes and scallions. Incredibly moreish, they’re gone in a flash. We finish with a Mezcal Mule ($158), a combination of Del Maguey Vida mezcal, lime juice and passion fruit nectar, garnished with candied ginger and cucumber. Arriving with a frothy top and the texture of a smoothie, this one is delicious. There’s a beautiful gradient to the flavour, the fruity sweetness nicely undercut by the mezcal’s natural smokiness. 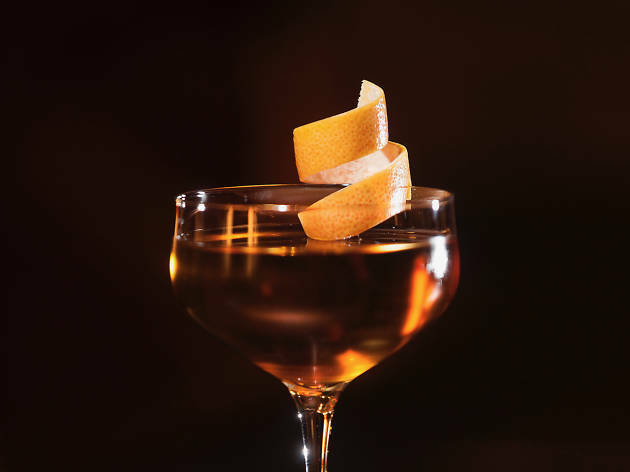 There’s no denying there are some exceptional drinks at PDT. However, we can’t help but feel the concept may be two years too late. What was exciting in 2016 is more ordinary now. 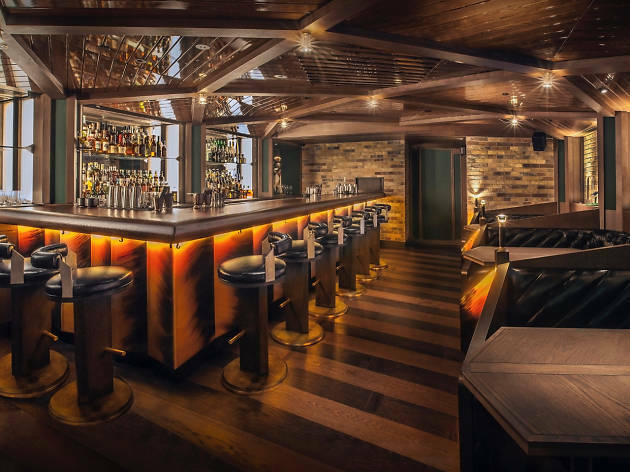 Speakeasies are a tired trend and does Hong Kong really need another foreign import like Employees Only or Bar De Luxe when a venture like The Old Man has demonstrated that local talent can be equally inventive and successful? PDT is a great bar but its moment may have already passed. Just don’t tell them we said that.